E tū has won its Employment Court case against LSG Sky Chefs for its exploitative use of labour hire workers. LSG is the world’s largest inflight airline catering company with a near monopoly on airline catering in New Zealand. 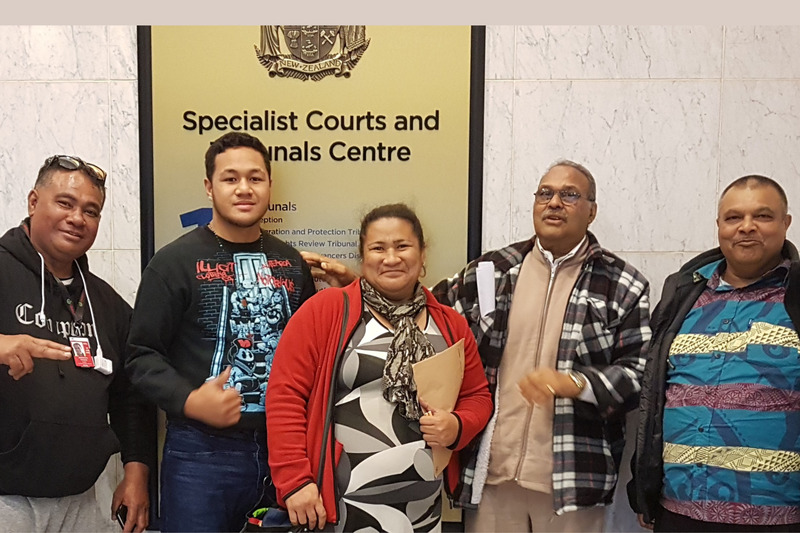 E tū took the case on behalf of Kamlesh Prasad and Liutofaga Tulai, who worked for LSG through labour hire firm, Solutions Personnel Limited, also trading as Blue Collar Limited. The union asked the court to declare that the workers’ real employer is LSG Sky Chefs – not the labour hire company – and the Employment Court agreed. “This is a huge victory for the labour hire workers at LSG,” says E tū Assistant National Secretary, John Ryall. “It is also a victory for the growing number of workers who aren’t directly employed by the firms they work for and are deprived of their rights under New Zealand employment law,” he says. The court decision also recognises the exploitative nature of LSG’s use of labour hire, citing Ms Tulai’s working week of up to 62 hours and noting at one point she worked 34 full days of work without a day off. Both plaintiffs worked for years for minimum wage or just above, with no holiday, sick leave or Kiwisaver entitlements, and they had to pay their own ACC cover. “The Employment Court has recognised that the use of labour hire is a way to shift all the employment risk on to very vulnerable workers and to avoid employment obligations,” says John. Liutofaga Tulai who worked for LSG for six years before losing her job will be eligible for backpay, as will Mr Prasad whom the court has ruled is an employee. John says the decision is also a big win for LSG’s unionised labour hire workers who are now entitled to the superior pay and conditions included in the LSG Collective Agreement for directly employed workers. E tū is now calling on the airline catering industry to get rid of labour hire completely and for all major airlines, including the national carrier, Air New Zealand, to take responsibility for this issue. “A lot of people are being exploited by LSG and the airlines have to take some responsibility as a customer for the labour practices in their supply chains,” says John. E tū is also urging the Government to investigate the use of labour hire in New Zealand and consider ways to remedy the denial of basic employment rights for these workers.